Smurfs are coming to Brussels Ice Magic! After Tintin it is now turn of the Smurfs. From Friday 24 to Sunday 26 January, the Smurfs will be joining the ice sculpture fun of Brussels Ice Magic for a special weekend that promises to be packed with surprises. Totally dedicated to the world of cartoons, the festival will be inviting a very special guest for the occasion: Smurfette! Plus, for the whole weekend, all visitors who come to the ticket office with a Smurf album will be offered a €2 discount on their ticket. What’s more, real fans of the little blue imps who come dressed up as one of Peyo’s characters will be able to get in to the ice sculpture festival for free. Just this once, even “Gargamel” will be welcome! Plenty of smurfy activities are lined up! Have you always wanted to meet Smurfette? Then save the date in your diary! She will be wandering round the exhibition on Saturday and Sunday at around 11am, 2pm and 3.30pm (unless there are any changes to her busy schedule). Throughout the weekend, Smurf albums will be available to buy at the event. And on Sunday 26 January between 3pm and 5pm, the artist Pascal Garray will be signing albums for the first 50 fans to come along with a comic book that they’ve bought at the festival. From Friday 24 to Sunday 26 January, when they buy their ticket for Brussels Ice Magic, visitors will be given the chance to enter a huge competition. The prizes include lots of fantastically smurfy gifts for the whole family! Of all the heroes of European cartoons, the Smurfs have become some of the most popular on an international stage. Famous all around the world, translated into more than 30 languages, the little blue imps created by Pierre Culliford, otherwise known as Peyo, have had no fewer than 3,500 pages of adventures in 31 albums and 219 short stories. Today, the Smurfs’ world has also been portrayed in films, animated cartoons, educational books and teaching materials, figurines, toys and mobile apps. Exceptional temperatures on the Place des Palais in Brussels! Winter has well and truly arrived in Brussels. In fact, on the Place des Palais, temperatures of – 10°C to – 12°C have already been recorded! Maybe that’s something to do with Brussels Ice Magic… Until 9 February, visitors can come inside the thermally insulated pavilion covering 1,100m2 to admire a whole new world of fantasy dedicated to cartoons. 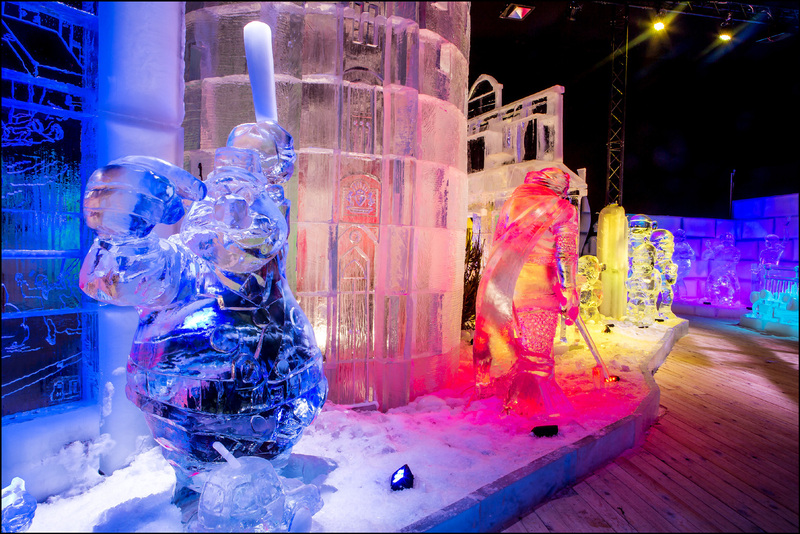 For this festival, 25 international artists have transformed 420 tonnes of ice into the most popular and most surprising characters from Belgian and international cartoons. So far, nearly 60,000 visitors have already been able to admire a series of incredible cartoon heroes and scenes in a wonderfully Christmassy atmosphere, each one even bigger than the last. 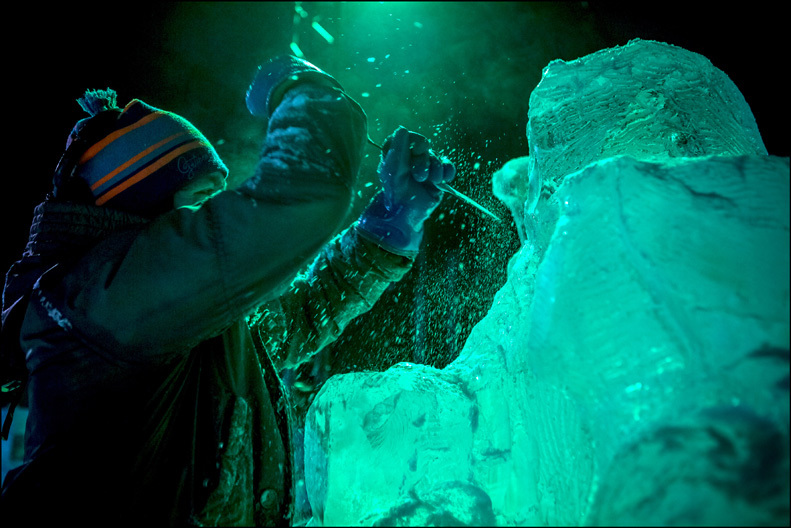 Some of the icy creations are no less than 7.5m tall. Next page Next post: Oberoi Udaivilas at Udaipur is among best in the world!